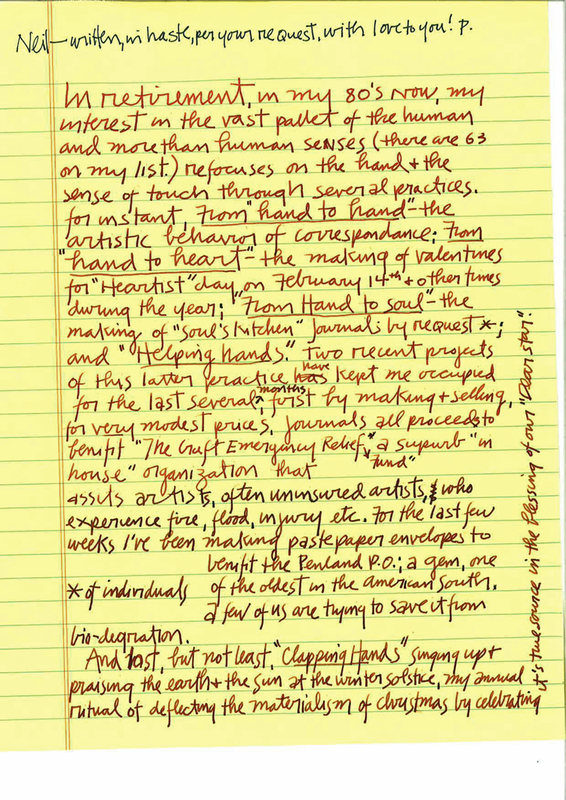 I have been following several different artists who write in journals on a regular basis. Two of them, have built a business out of journaling. I found a video today that was so intriguing that I wanted to share it with you. But, what is really interesting is the notion that the world is very small. 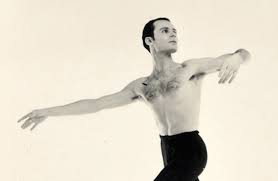 Paul Berensohn was first a dancer. 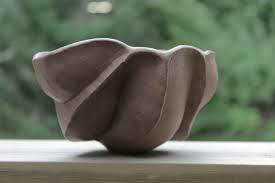 Then, a potter after seeing Karen Karnes work on the potter’s wheel. Then, a journal maker and teacher. 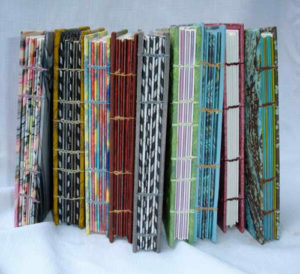 Coptic binding is a process where several pages are sewn together through their folds, and (if more than one section) attached to each other with chain stitch linkings across the spine. Paulus taught at Penland School of Craft. Wouldn’t it be wonderful to have been able to join his workshop. Then, teach other’s how to create their own journals. I love the technique of painting to create the cover. 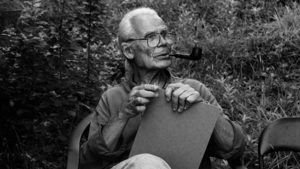 Paulus Berensohn has taught thousands of people across there USA and across the world how to make and keep their own journals, books he sometimes calls “Soul’s Kitchen”. Soul’s Kitchen celebrates making things by hand as a gift and, in turn, making it by hand is a gift. Paulus is a quiet man who with lots of patience as he teaches his students how to make their own journals.